If not for a sticky situation involving a skateboarding game remake, Criterion may never have continued the Burnout series. Criterion Games, of Burnout fame, is now working on EA franchise Need for Speed with the upcoming Hot Pursuit, but first had the chance to get involved with the series more than half-a-decade ago. After walking away from an agreement to develop a remake of classic skateboarding game Skate or Die, a fight between EA and Criterion sent the developer back to Burnout. Criterion was working for EA after Acclaim, the publisher of Burnout and Burnout 2, went bankrupt. 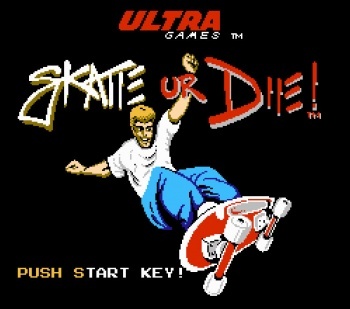 In an interview with GamesTM, Criterion's Alex Ward said: "Criterion started talking to EA in 2002 and they asked if we'd be interested in doing a remake of the old C64 and NES game, Skate Or Die. These guys wanted to make a skateboarding game, so we did it." Criterion also had a project called Need for Speed: Split Second in the works. The Tony Hawk skateboarding games were big at the time and EA wanted to get in on the action. However, Criterion has one vision for the product, and EA had another. "In Tony Hawk you were always on the board and it was all about tricks and high scores, but I wanted to explore what it was like to just go out for a skate and have that feeling of just doing whatever you want," Ward says. "I wanted to be able to get off the board - this was way back in 2002." Ward continued: "But the project was apparently subject to all kinds of pushing and pulling at the behest of the publisher. We were told 'you can't just make a Tony Hawk game - it's got to be like Grand Theft Auto,' and that was the first time we were like, 'Really?' 'It's got to be open world.' Well, what does that mean? Nobody really knew." The dispute eventually led to Criterion walking away from the Skate or Die project, which EA was none too happy with. "We called a meeting with the EA guys, told them we were walking away and they went mad, threatening to sue us, put us out of business... there was a lot of anger and frustration," Ward reveals. "Then we got a call from the Need For Speed guys and they said 'we can't work with you guys any more; you just walked away and there's a shame on your company, so we can't talk to you'." Everything ended up getting settled and Criterion was instead given the duty of creating Burnout 3: Takedown, followed up by Burnout Revenge and Burnout Paradise in later years. The developer's work must have put it back in the good graces of EA which gave Criterion the task of developing the next version of its yearly street racing franchise. Criterion's take on Need for Speed will get its due on November 16.